We know that Middle School years are foundational in the development of young people. Here at DMCS, we set a strong focus on academic excellence, exploring a variety of subjects through carefully chosen curriculum. What makes DMCS unique is the value we place on teaching the time-tested fundamentals of literacy through grammar, creative writing and novel studies. We also emphasize the importance of strong math skills and are delighted to see so many DMCS students prepared for advanced placement classes in high school. Along with challenging students to meet their potential in literacy and math, we also offer a much valued art program, music classes, gym, world issues class and catechism. We love that our school runs from Kindergarten to Grade 8 - allowing us to use the diversity in age to benefit the students! Our Middle School students are encouraged to rise to the challenge of setting an example for the younger students in Christian virtue and work ethic. Our Buddy Reading program provides Middle School students the opportunity to help the younger students to read. This also fosters a sense of pride and excitement for reading in the little ones! We are also launching an anti-bullying program for the Fall of 2016 where the entire school will participate in several in-class discussions, demonstrations and activities to promote the dignity of each person. 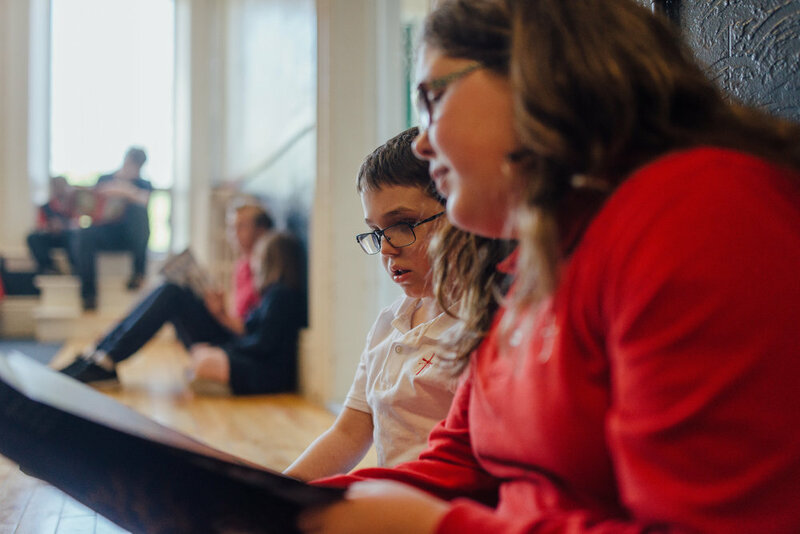 Developed by our Principal, Judy Burnham, part of our program is designed to have the Middle School students helping teach the younger grades what it means to respect another student and how we can practically live that out at DMCS. 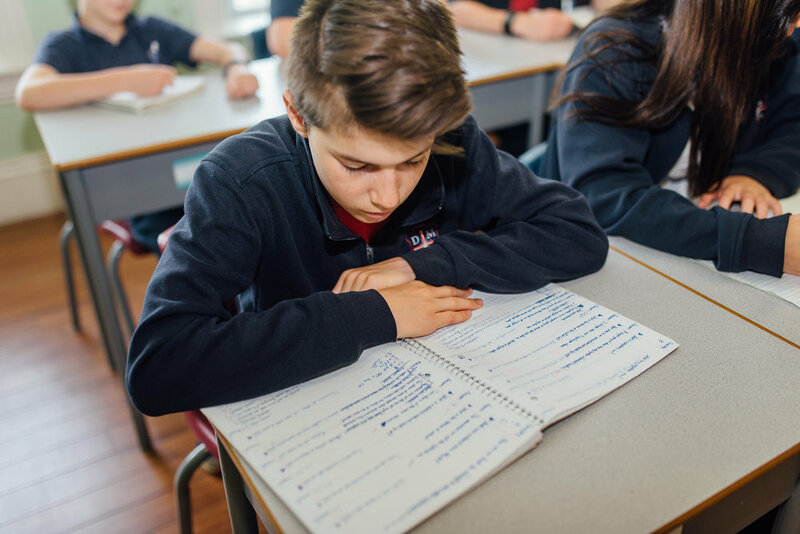 Recognizing that Middle School is an important stage of development for each student, we foster and encourage open discussion and questions throughout the school year. Our teachers pay special attention to the needs and struggles of each student and incorporate guidance through class discussion and sharing. Our small school size allows us the time to foster human development through addressing topics such as how to make good decisions, what it means to respect another and the importance of virtue in our lives.